Former Lansing Lugnuts pitcher Chase De Jong was traded by the Los Angeles Dodgers to the Seattle Mariners on Wednesday. The right-hander was swapped for two prospects, shortstop Drew Jackson and RHP Aneurys Zabala. De Jong pitched for the Lugnuts in 2014 and 2015, when he was a Blue Jays farmhand. He cumulatively went 8-10 with a 4.03 ERA, 150 strikeouts and 40 walks in 183.1 Midwest League innings (37 games/35 starts). Toronto traded him to L.A. in July 2015. 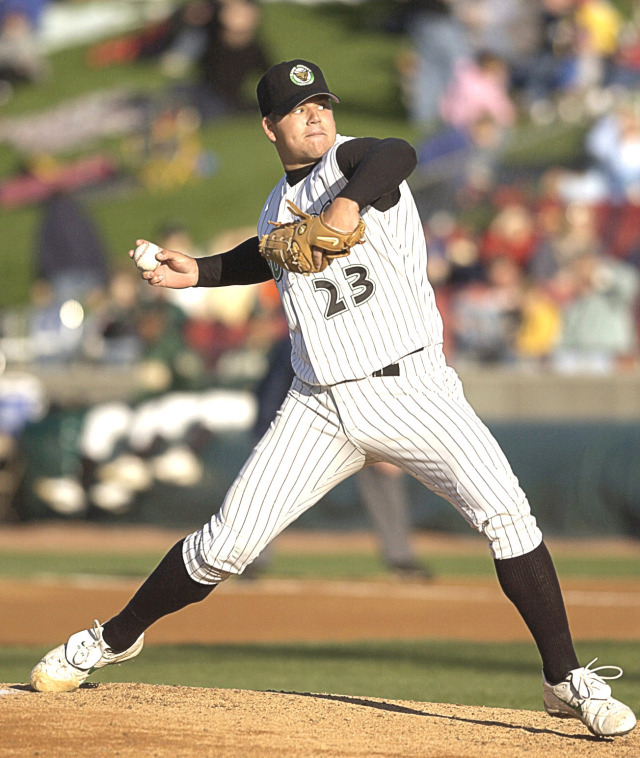 The Washington Nationals agreed to a one-year deal with former Kane County Cougars pitcher Joe Blanton on Thursday. The veteran hurler began his career as a starter and was converted to a reliever in 2015. He made 75 appearances for the Dodgers last year, going 7-2 with a 2.48 ERA, 80 strikeouts and 26 walks in 80 innings. Blanton started 21 games for the 2003 Cougars. He went 8-7 with a 2.57 ERA, 144 strikeouts and 19 walks in 133 innings. He pitched two shutouts. He was born in Bowling Green, Ky., home of the Hot Rods. This entry was posted in Bowling Green Hot Rods, Kane County Cougars, Lansing Lugnuts, Midwest League. Bookmark the permalink.